and, of course, romance! When Family Travel magazine sponsors a Mother of the Year contest, with a trip to Paris and a shopping spree as the prize, the response is overwhelming! Finalist #1 is Roxanne Perry, a single mother of four, who isn’t positive wealthy entrepreneur Christopher “Kit” Lawrence is right for her, but his matchmaking father certainly thinks so! Callum Fox had no idea he was a dad, but after some quick calculating he decides to pay finalist #2-single mom and former love Jody Reilly-a visit she won’t soon forget! Kylie Birmingham, finalist #3, has no time for frivolous activities like traveling and romance. But her meddling mom has plans. She thinks pilot Wade McKinnon is perfect for Kylie, and everyone knows Mom is always right! 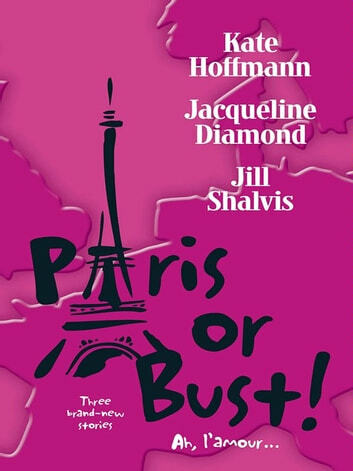 Books related to Paris or Bust!